The retirement of the distinguished philosopher Jürgen Habermas from his chair at the University of Frankfurt signalled an important caesura in the history of Critical Theory: the transition from the Habermasian project, to different forms of inquiry in the work of the next generation. This change-over happens at a time when it has become clear that Habermas's systematic exploration of communicative rationality has reached the point where both its achievements and its limitations had become evident. 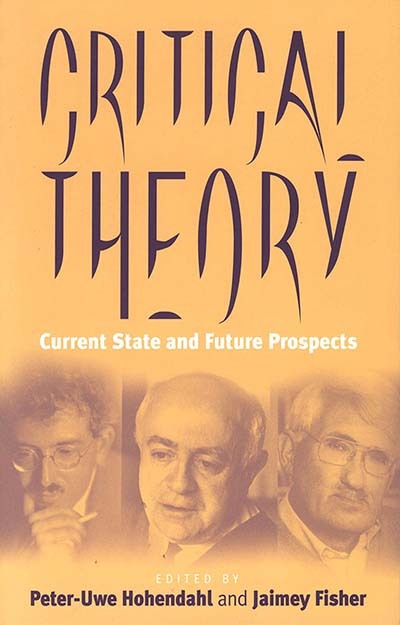 The essays collected in this volume address the problems connected with this transition, partly by returning to the insights of the first generation (Adorno and Benjamin), partly by focusing on questions raised by Habermas's work. Whatever the difference in the authors' positions, this collection gains its unity through their common interest in the significance and value of Critical Theory today and in its future as a philosophical project. Peter Uwe Hohendahl is Schurman Professor of German and Comparative Literature at Cornell University and Director of the Institute for German Cultural Studies. Jaimey Fisher is an Assistant Professor of German at Tulane University.